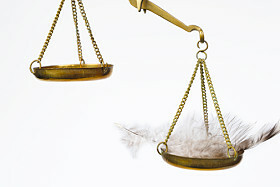 Why Are Attorney Evaluation Reports Sometimes So Light? I was recently conducting an audit of claim files and had the opportunity to review a significant number of Attorney Evaluation reports from a variety of law firms. Like many other things in life, some were better than others. What seemed to be most glaringly consistent was the inability of counsel to truly provide an assessment of exposure and what the case is worth. When asked to assess exposure, the typical response was to state that the insured had a 50% chance of winning the case. While I would agree that there are instances when this may actually be the case, often times it’s not. One report I read stated that the attorney felt the case was probably defensible, but with additional information they may not be able to defend the case. Why is it so difficult for some attorneys to give a comprehensive assessment? Is there a fear that if an attorney says one thing, they can’t change their mind later? When circumstances change, new information is developed, or issues are uncovered, it is perfectly reasonable that evaluations need to be adjusted accordingly. I would submit that an experienced defense attorney, that has seen hundreds of similar cases, has a pretty good idea of what the issues are in a case. Claim handlers can, and should, expect their defense counsel to clearly evaluate liability and damages and express those evaluations coherently in their reports. Counsel should be providing full evaluations at least every six months or after significant changes in discovery. Introduction – All reports should start with a few sentences outlining the facts of the claim, and should not require reading though 8 pages to find out what the case is about. An example of a concise introduction would be “This case is about the alleged wrongful death of a 29 year old stockbroker, father of three children, after he was struck by our insured’s vehicle being driven by an intoxicated driver.” In fact, that type of introduction can be used in every letter sent by defense counsel regarding the case. Factual Summary – A summary is a summary (I know – never define a word with the same word – but it seems appropriate here). When line-by-line details are relevant, then they should be spelled out. Otherwise, a concise assessment of important facts, and how they impact the case, is all that is needed to explain all aspects of the file. Counsel should also describe pertinent testimony, how it impacts liability or damages, and state how the witness would present to a jury at trial. Liability Assessment – An evaluation of liability needs to address all the parties in the case and not just the insured. Each of the plaintiff’s allegations should be discussed, and how the defense will be able to respond. Sometimes a defense would not serve to completely negate liability, but only serve as a way to reduce liability or damages. If this is the case it should be clearly stated so a proper assessment can be made. An example of a concise statement on liability would be “I believe the insured has problems with liability as they were aware the driver sometimes drank at lunch to “calm his nerves.” While the 29 year old decedent was speeding, and may have ran a stop sign, it may only serve to mitigate a small apportionment of liability.” Another valuable tool is to list out all the defendants and show each of their percentages of fault. Damages – This really should be the easiest section of the report to write up. A simple list of all the economic damages followed by ranges for potential non-economic recovery would clearly spell out the total extent of possible exposure. Additional information that could affect the outcome can also be clearly stated like this example: “Despite being unemployed, the decedent taught Sunday school and took care of his sick wife while raising his two small children on his own.” A great suggestion from a colleague is for counsel to base their report on the particular jury charge that would apply in the case. Verdict research is also helpful and readily available. In the end, counsel should come up with a damage assessment of the full value of the case and then factor in the liability apportionment. Conclusions and Recommendations – Attorneys are being paid for their opinions and expertise, and they should be providing that experience in their reports. A clear statement should sum up counsel’s position on the case, and the relevant next steps. Upcoming discovery expenses, as well as any out-of-the-ordinary expenses that may be incurred (i.e. investigators, experts, trial exhibits, etc.) should be listed to allow the claim handler to manage expense budgets better. When reports include all of the potentially relevant and appropriate information, a claim handler can make a more informed decision. Reserves can be assessed and changed when needed, and expenses can be managed more effectively. I was able to see this in practice at another client I recently worked with. This client worked proactively and diligently with counsel to get them to follow the structure I outline above. The client’s Director of Claims told me that they “are paying for [counsel’s] evaluation, and wanted them to put their neck out.” He went on to say that they truly partner with their attorneys and acknowledge that they “win together and lose together.” It was clear from reading these reports that counsel enjoyed writing them, and according to the client, also enjoyed the challenge of providing a complete evaluation. A good report will tell the story of the entire case in a concise and comprehensive manner. Defense counsel and claims professionals need to work together to help resolve the claim using the most expeditious and appropriate approach. Good reporting will help the process. Sit down with counsel and come up with a format that works for everyone. Don’t be afraid to send a report back to counsel and ask them to state their position so a proper evaluation can be made. What are your experiences with counsel reporting? How do you think the evaluation process can be improved? Tagged with Attorney Reports, Claims Costs, Claims Handling, Cost Savings, Expense Reduction, Litigation Management. This is a terrific post. As with anything, it can sometimes be easy to say these kinds of things should be done for a report and more difficult to actually implement them. Nevertheless, this is what all defense lawyers, myself included, should aspire to provide. The one overriding reason why lawyers do not provide these clear and simple reports is FEAR. Attorneys always fear something will be said in a report which will come back to haunt them. Certainly, if a lawyer’s report is dead wrong, perhaps it should come back to haunt him/her, but I’ve found that insurance professionals are merely looking for reasonably well qualified assessments from the lawyers. Insurance claims adjusters know better than anyone that the U.S. litigation system can result in some big surprises which contradict the “best guesses” made prior to the outcome. If we as lawyers approached cases more like business professionals, for example by attempting to assess risks (rather than providing absolute yes or no answers), we would be better serving out clients. I must have spent the last 20 years reporting to the wrong people. Almost every claims adjusting employer, somewhere up the reporting chain there were either one of three (3) problems. A certain nastiness, and unforgiveable nature serving to intimidate various vendors, basically, that can be described as a vindicitive client syndrome. Then there is someone hire up in the claim adjustment chain of command, who does not have the knowledge base to understand what is being reported, and in their ignorance, they have to appear knowledgeable, and as “rain makers.” And so they “do something.” Which often intimidates or fustrates the vendors. And aside from the foregoing, which can be described as the “unreasonable client syndrome, ” There is the vendor, usually depending on their charm or nepotistic contacts, drag out the cases to milk the billing. There are more than enough narcissists in the business on all ends. I have to agree with Steven. Fear is detrimental to providing that kind of report on a consistent basis. Most of the time, carriers want a comprehensive report within 60 days outlining all the claims, exposure and degree of liability. As experienced litigators we can do that, to some degree, even though in reality it is not far from the functional equivalent of using a crystal ball. The real issue is where your assessments are not spot on. No matter what carriers say to you, they get upset when the monetary assessment of a case does not fall prescisely within whatever parameters have been set. Not long ago we had a case which we assessed as significant liability. We had asserted a counterclaim in the case. Because the demand was just off the charts, we tried the case. We got a defense verdict (mostly because the plaintiff’s counsel was ineffective) and recovered on the counterclaim. The carrier was angry that we had assessed the case improperly. The plaintiff’s counsel was a real nitwit, but no one wanted to hear that. It has become more and more a numbers game. You need to assess the case immediately, and then stay within those parameters, or the claims counsel assigned to the case could get hurt- where the result of your case is tied to their compensation. That is the LAST thing that should happen, but it does. I agree that fear is the primary driver. No one wants to loose an accounts because of a result that ends up dramatically different than an assessment. I too have faced that fear internally when I was able to settle a case significantly lower than a reserve. Trying to explain that a plaintiff’s attorney missed an entire section of record didn’t seem to help. I would submit that a more open relationship between counsel and carrier where, as my client had commented a true partnership is forged, is the best way to get past this. Interestingly, I believe that the carriers who will jump on counsel for an assessment that fails to fall within parameters are the same ones who are ok with defense counsel providing 50/50 assessments. Unfortunately there are always examples, or stories, of counsel that called a case defensible and then at jury selection would cry significant problems requiring a settlement. Those stories do not help develop better reporting. I believe that many defense counsel do what they are paid to do which is to defend the insured. What happens in doing that is they sometimes forget to provide a realistic assessment as to the chances of those defenses being successful. There is a happy medium, but as you all point out, the fear factor has to be eliminated. The adjuster should know the case at least as well as the attorney. They’ve done the investigation (or someone in the company has) and is up to speed on the facts as known when the suit is filed. The most important thing the adjuster knows is the company’s intent. Very few cases are targeted to be tried. In suit the strategy is usually to get answers to open questions in discovery that allow the case to get to a settlement posture. The adjuster can be a big help to counsel by helping focus discovery to get to those answers. By assessing the answers at every step and reevaluating the case, (with costs of the next step in the defense in mind) the adjuster may get the case to settlement sooner. The adjuster can do a great deal to reduce defense costs (without hampering counsel’s ability to provide a quality defense to their client) by providing focus. The attorney provides the legal insight for procedures and can give some guidance on personalities and the plaintiff’s strategies, of course, but to ask them to accurately forecast outcomes without discovery is not realistic. If the issues were clear, the case likely would have settled. Counsel has good reason to fear going too far in their forecast. One of the great difficulties in analysis for the attorneys is the large number of unknowns at the stage of the case evaluation. Motions in limine, juror composition and untaken depositions make it unrealistic to assign one number to the likelihood of a liability finding. Ideally, attroneys would assess a “best case” scenario and explain what would need to occur for the “best case” to be in effect and a “worst case” scenario which would also explain what could potentially go wrong in the case. This creates a range of values which is a better assessor than one number. The use of jury research can also help in an analysis by helping provide clarity to many of the issues that are unknown at the time of the evaluation. After conducting jury research exercises, a much more informed analysis of a liability likelihood can be obtained.